The wheels had been set in motion just six months earlier, on a wintry evening in 1953. I was tending to my usual business in Storyville at the Copley Square Hotel when Professor Donald Born of Boston University's English Department walked in. Professor Born was an ardent jazz fan. He visited the club often. On this occasion, he was with a handsome redheaded women who had been auditing his lectures at BU. She was clothed in stylish New England attire, a pair of horn-rimmed glasses perched on the bridge of her nose. Elaine Lorillard, as Professor Born introduced her, possessed a charming and extroverted manner. As the three of us took a booth and ordered drinks, she began to relate tales of the exclusive resort enclave known as Newport, RI-where she and her husband resided. "Oh, it's terribly boring in the summer," she had told us. "There's just nothing to do." Mrs. Lorillard had helped organize a performance by the New York Philharmonic at the famed Newport Casino the previous summer. The appearance was not a success. The distinguished Bellevue Avenue residents underwriting the concert had lost nearly thirty thousand dollars. They had no intentions of making the same mistake twice.Mrs. Lorillard wondered aloud why there couldn't be instead some jazz in Newport to liven up the summer months. "That's why I introduced the two of you," Professor Born explained. "I thought you might come up with something, George. "Presenting jazz at Newport sounded like an interesting idea, but I was wary. I had heard enough late-night business proposals to know that most of them dissipated by morning, when the spell of music and cocktails had wanted. Elaine, however, was insistent. She vowed to return in a few days with her husband, to discuss the matter further. Elaine's husband was Louis Livingston Lorillard-a decedent of Pierre J Lorillard, the founder of the Lorillard Tobacco Company. This was quite a noble lineage; Pierre Lorillard was not only a tobacco tycoon but also a Newport summer resident and the founder of Tuxedo Park. According to Cleveland Armory, it was within Pierre Lorillard's newspaper obituary that the word "millionaire" had first appeared in print. Louis Lorillard had not inherited his great-grandfather's tobacco fortune; the enterprising Pierre had sold out near the turn of the century. Nevertheless, Louis and Elaine were considerably well off. They were leaders of Newport's formidable "younger set." Louis had a less dynamic presence than his wife, but he conveyed an air of competence. He was a member of most of Bellevue Avenue's exclusive clubs (including the society of Cincinnatus, for dependents of the officer's staff of George Washington). He was a man who could get things done. I was impressed by the fact the Lorillards reappeared at Storyville so promptly. Although they knew little about jazz, they seemed serious about this venture. They invited my public relations associate Charlie Bourgeois, my secretary Terri Turner, and me to visit Newport. We were to spend a night in their Bellevue Avenue home, "Quartrel" (perhaps named for the four 'L's in Louis Lorillard's name).I left the company of Louis and Elaine Lorillard with the assurance that I would devise a means of bringing jazz to Newport. None of us knew exactly what such a proposal would entail. I thought at first that it would be appropriate to open a seasonal jazz club there, similar to my summer Storyville endeavors in the Massachusetts resort towns of Gloucester and Magnolia.Something about the Lorillards' bold enthusiasm, however, led me to widen the scope of my ambition. I began to think about more substantial alternatives. There was, at the time, only one major music event in New England in the summer-the Tanglewood Festival, a classical music event in Lenox, Massachusetts. A music shed had been built on the festival grounds so that Serge Koussevitsky, the legendary maestro, would have a summer venue in which to display the brilliance of the Boston Symphony Orchestra.Was it possible to have a similar event at Newport with the backing of Louis Lorillard? Or did they merely want a sees of weekly concerts that would alleviate the summer doldrums? I didn't know the answer. However, I did know a little about the jazz business and event planning because of four years at Storyville. I also knew New England. Most every jazz fan in the region had been to Storyville at least once. During the summer months, though, they left for the north or south shores. Come summertime, the city of Boston resembled Paris in August. Nothing happened. People left the city for resort towns like, well, like Newport. My conclusion after weighing these various factors: Why don't we produce a jazz festival? I didn't even know what a jazz festival would consist of. Nevertheless, I presented a rough outline of my idea to Louis and Elaine. They gave me an enthusiastic green flag. Louis Lorillard instructed his bank to draw up to as much as twenty thousand dollars on a line of credit, for the festival budget. Twenty thousand dollars! I was petrified. I had never before had the responsibility of working with someone else's money. I remember driving at record speed from Boston to my parents' home in Newton to report the news. It was nearly three in the morning when I pulled up to the house on Ward Street. My parents were both asleep when I barged in and breathlessly told them what had happened. I still wasn't sure whether I could shoulder the responsibility.My mother, still bleary-eyed dispensed the invaluable advice that I needed to hear: "George, this is a great opportunity. These people are placing their trust in you, and you can do something with it. You've got to produce something extraordinary. "What was a festival to me? I had no rulebook to go buy. I knew it had to be something unique, that no jazz fan had ever been exposed to. I remembered my nights in New York City when I had started off in Greenwich Village at 8p.m., went to Harlem and ended up seven hours later at 52nd Street. I couldn't get enough jazz. I heard Dixieland, big bands, swing, unique singers, and modern jazz. If this is what I loved, then that was what should appeal to any jazz fan. I'm sure that that was what directed my concept of the first Newport Jazz Festival.The vision Elaine and Louis Lorillard was rewarded. They had wanted to "do something with jazz" in their community. I took that vague but earnest request and hatched the jazz festival. There is no doubt that the driving force and inspiration behind the festival was Elaine; there would have never been a Newport Jazz Festival. Louis provided the necessary financial support and local influence. My role as a producer was manifold. 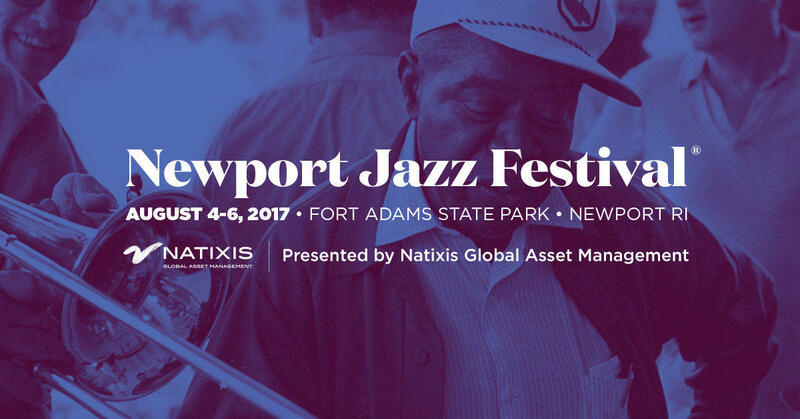 In other words, Elaine and Louis Lorillard were the proud founders of the jazz festival in Newport. I was the co-founder and its creator.Like a family man with a mid-life crisis, the jazz world in the '50s was heading in several directions at once. Musicians and critics alike were beginning to call for the acceptance of jazz as a legitimate art form. This was not an easy task, given jazz's outmoded image. 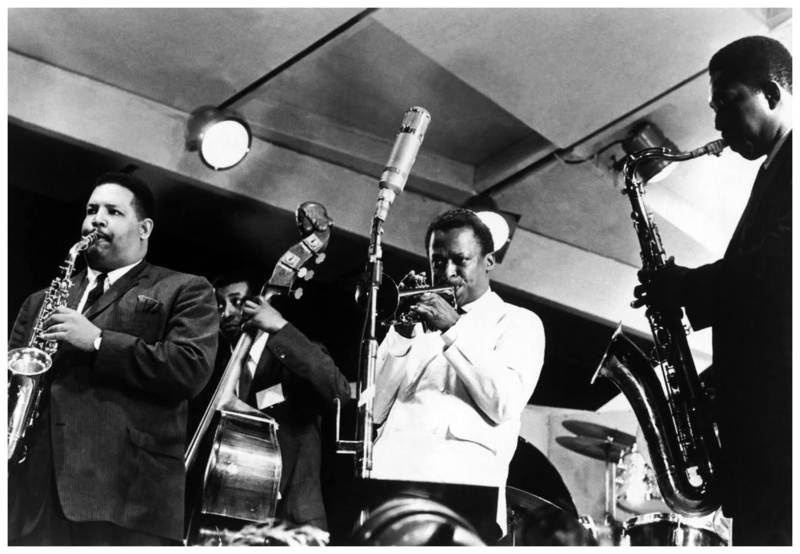 It was even controversial within the jazz world, which was now steeped in conflict over "traditional' versus "modern." Critics and fervent fans had succeeded in creating a schism between bebop and swing. I had no intention of steering the festival in any particular stylistic direction. I felt I a responsibility to present the entire spectrum of jazz - "From 'J' to 'Z'." I believed-as a promoter, a player, and a listener-that there was as much artistic merit in a solo by Wild Bill Davidson as there was in a piece by Lennie Tristano. Furthermore, I recognized that all these musicians were in fact a part of the same family. 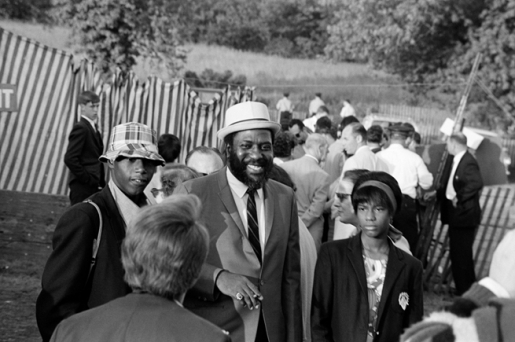 The first Newport Jazz Festival in 1954 set the formula for all major jazz festivals to follow. 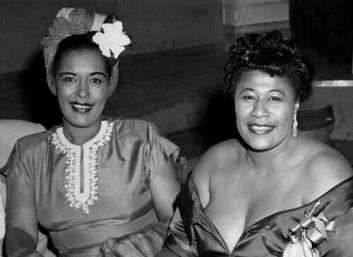 Popular artists were the attractions that sold tickets, but it was the important unsung jazz heroes from the traditional to avant-garde that attracted the critics and gave the festival an artistic credibility.In 1954, Ella Fitzgerald, Oscar Peterson, Gene Krupa, George Shearing, and Billie Holiday were popular jazz artists of the day. The program included tributes and reunions, which are commonplace nowadays. Panels treated the academic approach to the music. This formula, commercialism blended with artistic credibility, continues to this day. The difference is that as the great names in jazz passed away, the Ellingtons, Armstrongs, Fitzgeralds, etc. 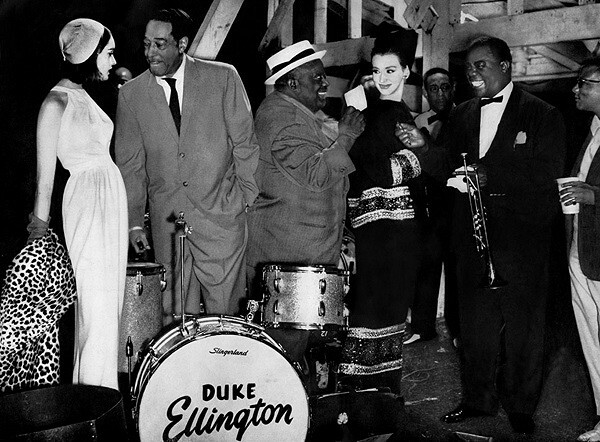 it had been necessary to sometimes use crossover groups that reflect many aspects of American popular music that do not necessarily reflect the purity of jazz. Yet, these artists sell tickets and all festival producers know that without people, there is no festival. The two sellout crowds created national press coverage and the festival received a world-wide response. The whole town of Newport was talking about what had happened at the historic Newport Casino. On the morning following the end of the festival, I stood in front of the casino, where cleanup was underway. A tall Russian gentleman emerged from the mansion next door and approached me. "Are you Mr. Wein? Did you produce this festival?" It was Maxim Karolik-opera singer, arts patron, and a very important collector of 18th Century American art. Today, his is best known as the namesake patron of the Boston Museum of Fine Arts' "Karolik Wing." "What happened here is something we mustn't think about," Mr. Karolik declared. "We must ponder." I never forgot that line. Maxim Karolik may not have been an authority on jazz, but he was perceptive enough to know that the past two evenings had been a patent of things to come.And we have been pondering ever since. What is jazz? What is its place in the world's arts spectrum? The complexities of the music never seem to fully unfold. All we know is that jazz has become a part of our cultural lifestyle. In the mid-fifties members of the board of directors discussed the possibility of moving the festival from Newport to a larger city like New York where the music would be more accessible to a greater number of people. John Hammond, who joined the board in 1955, had to say..."Could I tell you? You have the advantage of having two festivals [in Newport], which have had unprecedented publicity. It has done most for jazz as an art. Because of the Newport Jazz Festival, Louis Armstrong gets on the front page of the New York Times... I think if we had tried to have this festival anyplace else, we would find that eighty percent of our publicity value from the past and our goodwill would be dissipated. This would be just another festival. My feeling is that these two words are almost indivisible-festival and Newport. As far as the world acceptance of jazz is concerned, I think many of us who are on the advisory committee have been fighting for jazz for a long time. We have no particular love for Newport-I less than anybody here with family, relatives and forbears coming to Newport. Yet in one sense of the world we have brought democracy to Newport, which is the last place in the world where it could have been expected to be found in America."